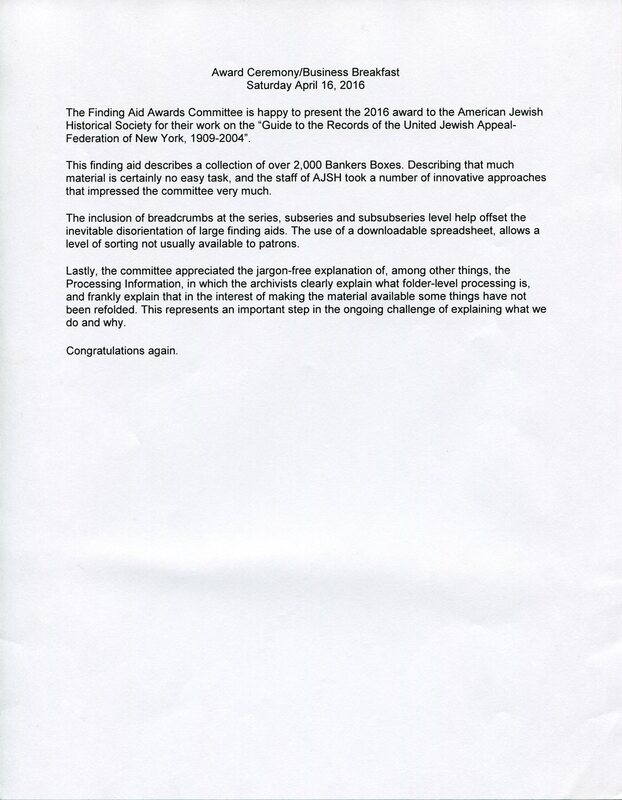 It’s just one year since the end of the UJA-Federation of New York Archives project. Researchers are beginning to discover the collection, the finding aid and the digital material. Avigail Oren, a PhD candidate who began using the collection several years ago, before processing was complete, wrote about the collection recently on her own blog. Specifically, Avigail has conducted research in the extensive budget files that Federation maintained from its founding in 1917 through the end of the 20th century. Her focus in the Federation budget files is the Washington Heights YM & YWHA, one of Federations’s long-time affiliated agencies, a Y in a neighborhood that continues to evolve and serve the different populations that live there. 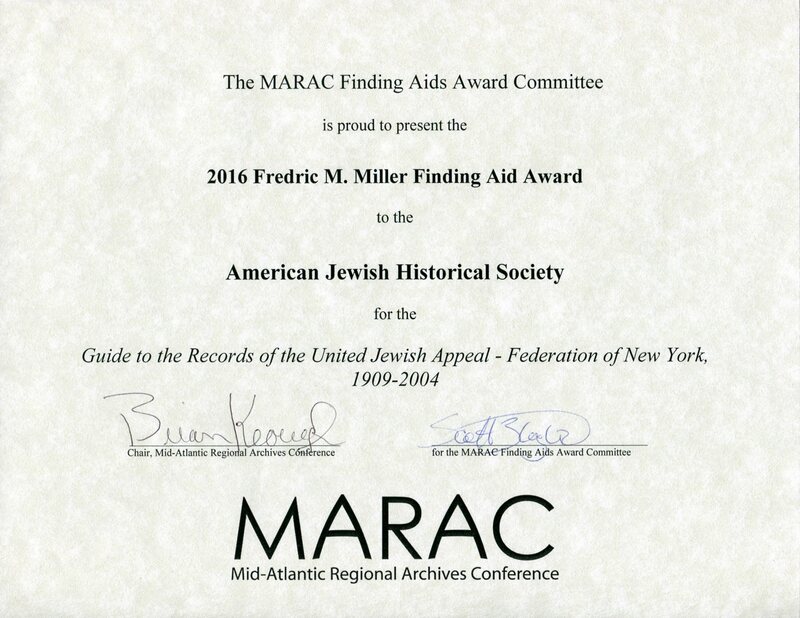 In other news in 2016, MARAC, the Mid-Atlantic Region Archives Conference, gave their Finding Aid Award to AJHS for the finding aid to the UJA-Federation of New York collection. The certificate proudly hangs in the reception area of the administrative offices of the American Jewish Historical Society.